Dean DeBlois has directed or co-directed some of the best animated features of the century, including Disney's "Lilo & Stitch" and the "How to Train Your Dragon" trilogy at Dreamworks Animation. 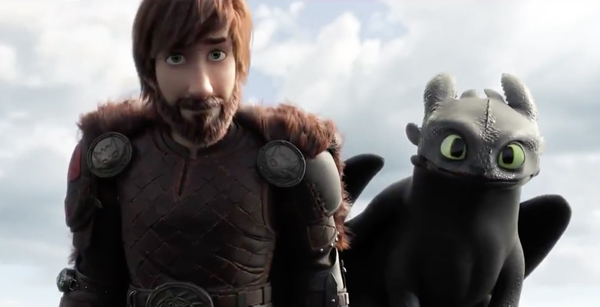 That fantasy series is finally coming to a conclusion next year, in "How to Train Your Dragon: The Hidden World," which will finally explain why dragons disappeared from the face of the Earth. In this new interview, William Bibbiani interviews Dean DeBlois about the upcoming movie, the importance of ending the franchise, the emotional impact of the series, and why the next installment has a subtitle instead of a number. I really enjoyed this interview, however, I'd have to disagree with the marketing people about losing the moniker 3. I appreciate films when they do have subtitles, like the Indiana Jones franchise, or the Transformers franchise. The subtitles allows fans to get excited and give them a heads up on what type of story it will be. When it comes to How to Train Your Dragon I somehow feel attached to the numbers and no subtitle. It feels more...of a stance? Like, these are definitive chapters of this franchise and not just another adventure. I guess I look at this in the opposite way than the marketing people.